We value the wisdom and experience of our seniors. 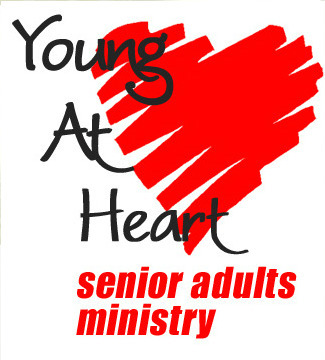 Young At Heart is a ministry for those 50 and over. With monthly fellowship meetings with special music and testimonies, distribution of food baskets to the elderly, fellowship trips, seminars, plays and Christmas banquets. If you are Young At Heart, come join us! Chuck and Bonnie Rozalski lead this wonderful group.